Perhaps it says something about ripple effects. That it can take a time for reverberations to make themselves felt. But there was an irony around in the 2015 F1 season. 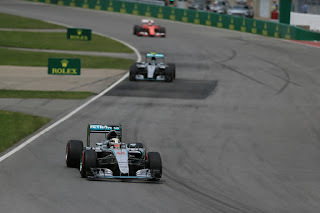 Rewind 12 months previously to the start of the 2014 campaign, F1 was about to undertake its biggest leap in technical regulations ever particularly in its move to a hybrid-type 'efficiency' engine formula and there was no shortage of those fearing the worst. Lots of it wasn't realised then, indeed some of the fears were silly, but some of it was prescient. It just rather oddly took a year to reveal itself. Debilitating costs; dominance of a small number of manufacturers; soporific fare. We got all of those this time. 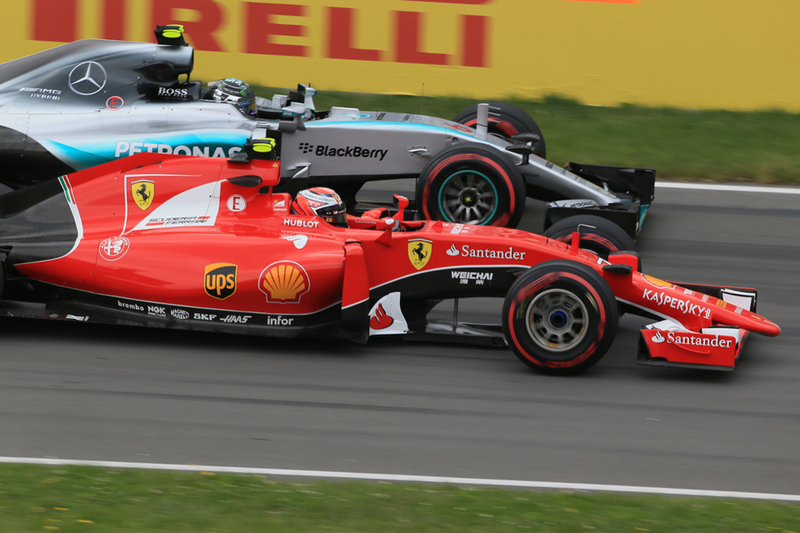 In more ways that one F1 in 2015 became absolutely about Mercedes and Ferrari. Only they offer competitive engines - and indeed come next year it looks like as many as 16 of the 22 cars will be so powered - therefore they have huge say in the sport's effective competitive order. 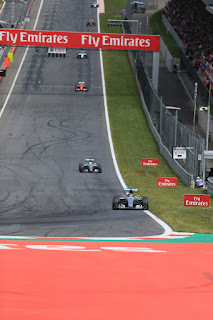 It manifested itself precisely too - 'Mercedes - gap - Ferrari - gap - the rest' was a common sight on Saturdays and Sundays this season just finished, the two works teams won every race and the rest didn't really get within shouting distant of the podium's top step. The pair also have huge say, it is said, over its customers politically in terms of their votes on the sport's regulations and the like. 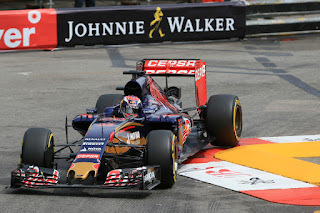 Red Bull, even the powerful entity that is Red Bull, showed this year what happens if you get on the wrong side of them. It wasn't pretty. Therefore in F1 2015 not even the usual last resort in the face of predictable results of pointing to meritocracy had the same effect as normal. Then there are the costs the manufacturers are charging, some €20m a year for power units which is around double what it was with the V8s in 2013 and before when of course even then most F1 teams hardly were financially flush. 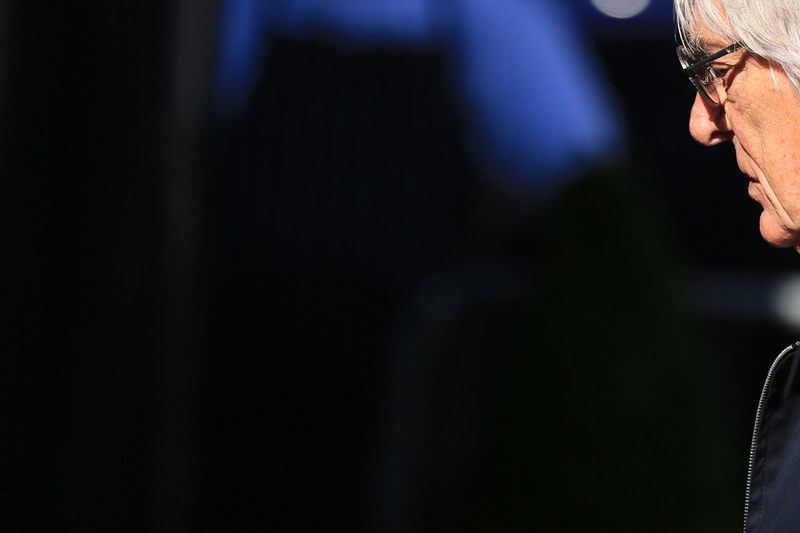 Christian Horner mentioned being quoted annual bills of 'upwards of €30m' before the year was out. No teams went bust this year but it's clear the issues haven't gone away, laid bare by Lotus's hand to mouth existence, Sauber and Force India again asking for upfront championship payments and in the former case getting into a terrible wrangle at the season's outset with pay drivers. And more pertinently from this F1 is, in Joe Saward's words, "drifting towards a battle". Changes on engines, ostensibly to bring these costs back under control, are afoot from the promoter Bernie Ecclestone and the FIA and it's ensured a collision course between them and the sport's manufacturers. But as ever things aren't quite what they seem. Just as the FISA/FOCA 'war' of the early '80s was not actually about ground effect rules the matters actually at stake here are the sport's two perennial overriding preoccupations of power and money. "You've got a much bigger issue than the engine. 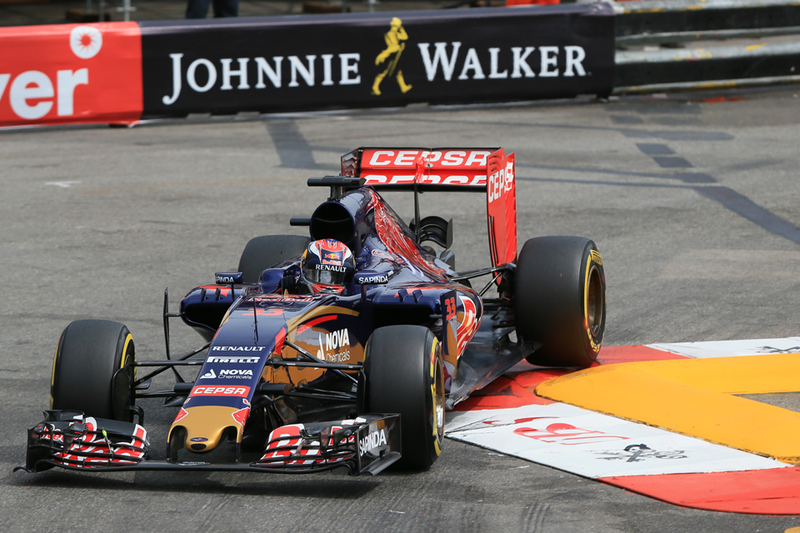 This is about who controls Formula One, the engine...is a catalyst" said Horner in Brazil. Dieter Rencken takes up the story: "The seeds for Formula 1's 2015 season were sown a good two months before 2014 gave way to the new year, when Fiat CEO Sergio Marchionne replaced long-time Ferrari president Luca di Montezemolo with his good self as part of an overall management restructure. "It was at this point that, for Ferrari, F1 mutated from a marginally profitable global-marketing pedestal for the company's road cars to a full-on profit centre within Gruppo Fiat. It was also the point at which Marchionne started playing an active role in F1 by attending Strategy Group and F1 Commission meetings - convened by the Italo-Canadian's former subordinate, Jean Todt." 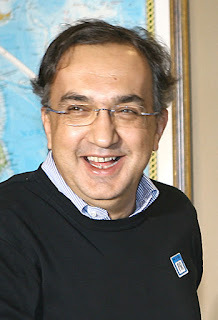 According to those there Marchionne was quick to throw his weight around, including over his 'former subordinate', the then-oddly passive FIA President Todt. Marchionne went further. "In league with his mates Dieter Zetsche [of Mercedes] and Carlos Ghosn [of Renault]" said Saward of the new Ferrari kingpin, "they envisaged a rather different Formula 1, one which the players would control. With engine supply being the key, they extended their influence over the smaller teams to the point that they could block decisions they did not like, using the Ferrari veto and sticking together, at least politically". Even with their on-track rivalry Mercedes and Ferrari are acting in cohort it seems and Merc boss Toto Wolff routinely referred to Ferrari as his "frenemy" this campaign. As Rencken noted in Friday press conferences barely a sliver of paper could be got between Wolff and Ferrari's Maurizio Arrivabene on political matters. Where mutual interest coincides this game can create some very unlikely bedfellows. But Bernie for one wants the power back. Bernie of course likes power and by extension money; doesn't like challenges to it, but related to this or not he's always had his enthusiasm for manufacturers well under control, related it would seem to their willingness both to play hardball over cash as well as to leave the sport at a moment's notice. In recent weeks he's got Todt on his side (unlikely bedfellows again - Todt's motivation is less clear but as far as we can tell rescuing the hybrid formula and responding to the urgent need to secure the sport's immediate future seems the main part of it - "Jean is finally beginning to get it" said Bernie in Mexico) and a suddenly conspicuous Max Mosley to do his strategic thinking for him. As for those afoot changes? First of all a €12m cost cap for selling power units to customers was proposed by the FIA, but vetoed by Ferrari using its unilateral power mentioned. Then, in what had all the hallmarks of a classic Mosley move of offering something unpalatable in order to get movement to something you did want, a two-tier engine formula was proposed, with a much simpler 'budget' engine - a 2.2l twin turbo V6, not unlike that in Indycars - available as well as the current complex unit and interest from independent suppliers was sought. The F1 Commission threw this out, but apparently with some strings still attached as the manufacturers now as the 'Power Train Working Group' have until 15 January to come up with another way of saving costs while the budget engine remains poised over them like a Sword of Damocles. The previous of such working groups' outputs ain't encouraging though. One thinks of the Colin Chapman line that if you get a committee to design a horse you end up with a giraffe. Nor you suspect would it have eluded Marchionne and others that Mosley et al are trying to play them. In early December the stakes were raised a little further when Ecclestone and Todt received a 'mandate' from the World Motor Sport Council, with just one vote against it, "to make recommendations and decisions regarding a number of pressing issues in Formula One such as governance, Power Units and cost reduction". The exact manifestation of this has yet to be seen - though the Ecclestone/Todt 'recommendations and decisions' are expected by the end of January - yet needless to say the manufacturers are disputing this 'mandate', say it contravenes existing agreements and are highly unlikely to let this lie. Neither though are Bernie and Todt; Bernie has already dared them to go to arbitration where he says he'd "win easy". Whatever is the case as things stand a collision course between the two power factions looks inevitable. Particularly with new commercial deals for 2020 to be negotiated at some point. One suggestion is that the manufacturers will recommend reducing the number of units per car per season to three from the four that already gave plenty of trouble to some teams in 2015 - perhaps responding to a Mosley-type move in kind with something equally unpalatable. An area of focus too reportedly is the MGU-H - part of the power unit that is about the most costly and complex, and the most difficult to get right (and key in Merc being ahead). But on the flip side it's also the bit that is the most central to the current formula's efficiency ethos as well as could have the greatest impact in pushing forward road car technology. Merc engine boss Andy Cowell has rated it as such while a Honda representative has said that his colleagues would be "idiots" to get rid of it. And this gets right at a vital part of the tension here, that over what exactly F1 wants to be. Some argue that so long as the racing is good and costs are in check the rest of the engine details including the number of manufacturers involved and impact on road car technology shouldn't worry us, and indeed Peter Windsor for one has argued that F1 should to this end do something akin to GP2 with a single spec engine supplied perhaps by Ferrari. This would of course in a single bound free the sport of the problems outlined so far but in the view of this author at least it would be a terrible pity; it would throw the baby out with the bathwater. Technological progress and improving the breed has always been a key part of this game and it should not be abandoned at all lightly. And on this point specifically what has been extremely frustrating since the start of 2014 when the engine spec came in is that the rapidly-developed technology has been a glaring opportunity of a wonderful and much-needed good news story for the sport, one that it should be shouting in every direction at every opportunity. At least as rapid straightline speeds with a third less fuel, thermal efficiency of engines increased by around 15 percentage points in effect in two years, something that Saward says "hasn't happened in the history of the automobile". One too by all accounts having an impact on road cars in the showroom from companies that now routinely boast about their hybrid technology - providing technological solutions in a subject important to many and that will have an impact way beyond the circuit's perimeter. Yet the sport it seems has treated it all almost as something to be ashamed of, or even worse to positively trash in public. 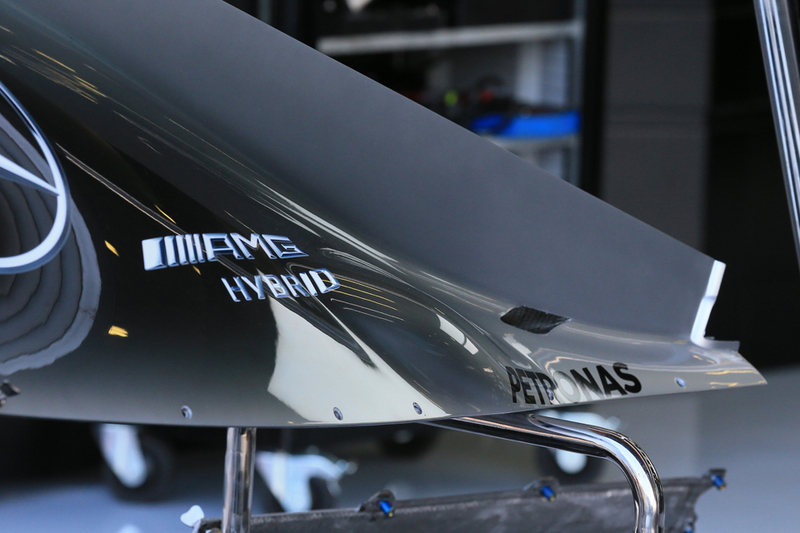 Saward noted additionally this year that beyond Mercedes inserting the word 'hybrid' into its F1 car's title it's hard to cite where and how the sport has promoted any of this at all. While the Windsor view outlined underestimates just how vulnerable F1 would be in that situation with gas-guzzling engines and all should the gargantuan environmental lobby ever turn its fire onto them. 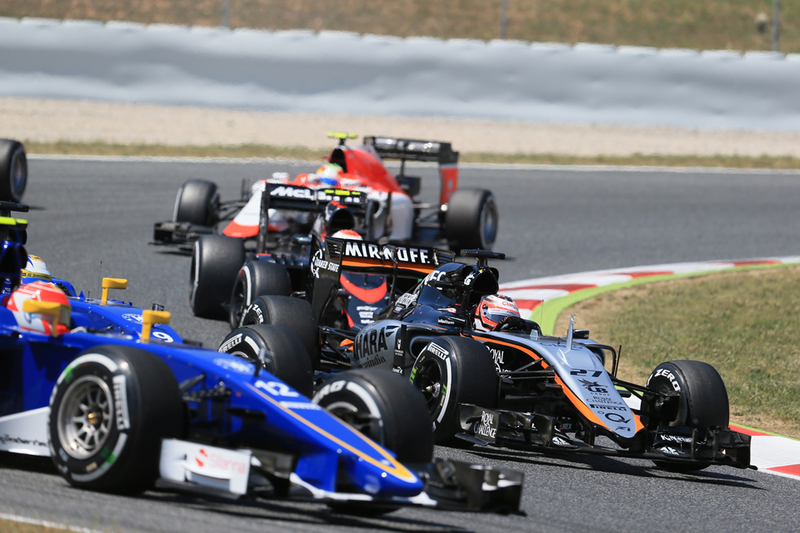 F1 would be the softest of targets for Governments and other investing organisations. Saward described F1 in that situation as "a sitting duck for anyone who wants to hit us" and "the poster boy of the old era". Furthermore the modern day F1 engine is a wonderful piece of kit that flies in a straight line. The speed trap marks set in Mexico - perfect conditions for the units - were stunning. The dumbed down budget engine proposed hopefully was a classic Mosley move and nothing more tangible. But it also cannot be denied that mistakes have been made in the detail of the new power unit formula. The lack of a cost cap we've mentioned, and the original regs should too have included a compulsion on manufactures to supply a minimum number of units to teams that wanted them. Other means of controlling the cost, such as common parts, also were eschewed. And if at this point the impression has been given that the manufacturers are the villains of this piece, as Rencken outlined recently we should not forget their side of things. Mercedes even with the demand on its kit and top dollar prices still has required a subsidy of something like £100m from the main business over the past two years, with Renault needing something similar. No wonder manufacturers didn't like the idea of a cap on what they could sell their engines for. 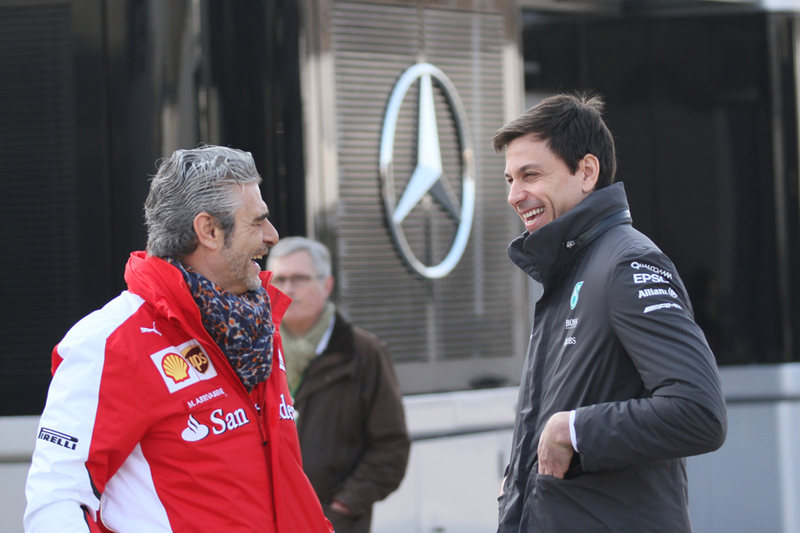 Niki Lauda claimed indeed that with the proposed €12m cap Merc would not even be able to cover its costs. Engine makers are not represented on the Strategy Group so can't be held exclusively accountable for botched rules. It also wasn't the manufacturers that rubbished the new engine spec at every opportunity, thus making it much harder to attract to attract investment for badging and the like. According to Rencken indeed it was precisely this that scuppered PURE's business model, thus depriving the sport of an independent supplier it's now decided is a wonderful thing to have. Presumably it further didn't help in encouraging new manufacturers to throw their lot in. Renault also was absolutely correct to state that when it as an engine supplier won four consecutive championship doubles it was hardly mentioned, then when things went wrong it was very quickly and publicly fed to the dogs. Wolff is correct too to point out the absurdity of forming rules to attract manufacturers then change them just two years down the line, that it's "just not how a large corporation works". As usual in an F1 political dispute there are no Gods and precious few heroes. Mark Gallagher ex of Cosworth also reminded us that what we've ended up with is far removed form the original intention of the new power units, which was the convergence of performance across different suppliers. "In 2010 a year before these regulations were signed off, I remember sitting in a meeting in Paris at the FIA and we all discussed what would happen if one manufacturer got it so right that they ran way with the ball" he said, "and everyone said 'well we just have to make sure that doesn't happen'. Well that's precisely what's happened. And the reality is Mercedes deserve every pat on the back, they deserve these world championships that they're winning last year and this year, but we now have to say 'we got it wrong'." So what went wrong this time? Well it's to do with the restrictions on subsequent development that came with the new regs. As is often so the road to hell here was paved with good intentions as this restriction was intended as a cost-saving measure due to the real threat of manufacturer spending becoming debilitating, but many reckon that in its current form the restrictions are serving in large part to freeze the initial Mercedes power unit advantage. Which now it doesn't want to give up. NBC's F1 producer Jason Swales theorised further that the current regulations were rushed through and a major mistake was made in having homologation - the point that the engines were finalised before the strictly rationed and dwindling development allowed in future years and strictly rationed number of parts permitted on pain of severe penalties - so soon in the process, before the new power units had even been raced indeed. It's often the way when new regulations come along that someone either by good luck or good engineering gets a clear half lap ahead initially by doing things the rest hadn't thought of. Then as others work out what it has done they slowly claw the advantage back. Sure enough one entity, Mercedes, did it much better. But the early homologation has served it appears to severely restrict the ability of the others to claw it back in the second stage of the process. "Renault need to be allowed to develop a properly competitive engine for Red Bull and their other teams, the same applies to Honda" Gallagher continued. "It is utterly ridiculous that McLaren Honda have both hands tied behind their backs." There was indeed talk of engine equalisation mid-season though many dismissed it as it was mainly coming from Red Bull - so fell foul of the Mandy Rice-Davies charge of 'they would say that wouldn't they?' 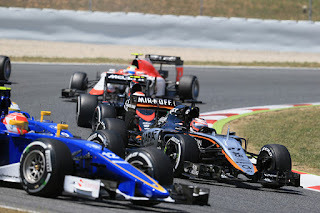 Yet equalisation has been done before, such as in late 2008 when Renault was allowed to catch up with the other engines, and as Sauber's Monisha Kaltenborn pointed out in Austria giving stragglers special dispensation to develop and catch up is known in other motorsport categories too: "I don't like to compare this now to DTM, but they did allow one big name [Mercedes] to develop and they themselves didn't develop that much to bring them up to a certain level" she said. And the penalties racked up by those seeking to catch up from going over limits of parts became almost Python-esque this season. 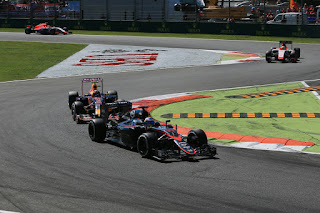 By the year's end McLaren, mainly due to its dread Honda unit, got penalised by no fewer than 320 grid places. 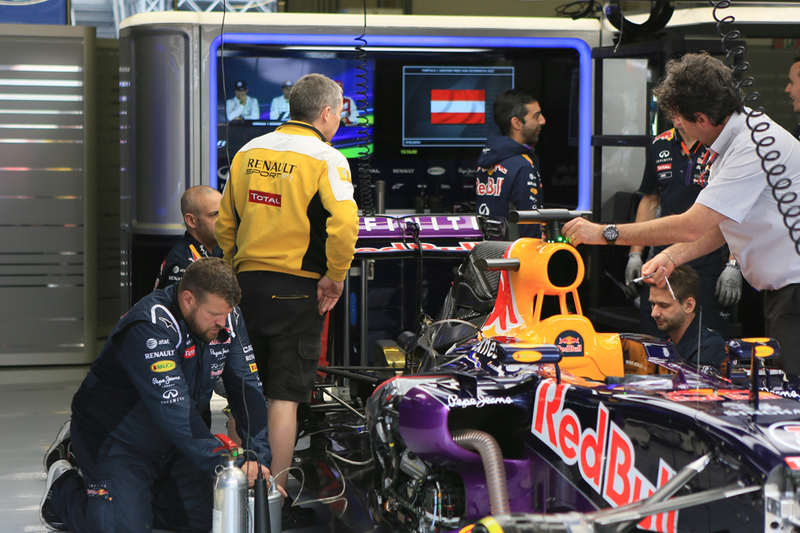 Even though Renault had a year's experience its two customer Red Bull teams were set back by 225 slots. And we wonder why the uninitiated struggle to get this game. Their struggle hardly encourages new players to get involved either. Granted, had Renault and Honda done a better job, and Ferrari has shown that starting badly doesn't entirely offer an excuse, then a lot of these problems on track and off would be alleviated. Indeed a four-way Mercedes, Ferrari, Red Bull, McLaren fight at the front sounds even rather enticing. But they didn't, so we are where we are. And as if the sport didn't have its troubles to seek Sauber and Force India this year also complained to the EU Commission on the grounds of how sits F1's governance structure and financial distribution in regard to competition law. Bernie meanwhile seems remarkably sanguine about the whole thing, insisting he's relaxed whatever is the outcome. Perhaps to protect himself. Perhaps though he can see benefit in ripping up the teams' commercial deals - thought to severely favour the few at the top - and start again, perhaps even to undermine those he's fighting against in the big battle outlined. Perhaps he can see a way to keep more cash for his masters at CVC. Whatever is the case though this is one that won't be resolved quickly. F1 in 2015 with the unseemly squabbles and a wet blanket thrown over the power unit competitive situation, wasn't rescued by diverting racing either. Last season we were left to reflect with some relief what just had been dodged thanks to the thrilling Bahrain race, which heralded a year of mainly entertaining Sundays and a close title fight which rather shot the fox of those wanting to create rancour. Well it turns out that in 2015 this is roughly would we got - the dull races and the rancour. Again it merely was delayed by a year. In the 19-round season really only three or four of them could be described as diverting. And even of these most owed to peculiarity: Silverstone and Austin were spiced up by rain; Malaysia by unexpected tyre wear; Hungary by a safety car appearance combined with more general craziness. Even in the opening round what everyone thought we'd get 12 months ago, to the point that someone asked Charlie Whiting with a straight face what would happen if no one finished, came much closer to realisation this time. No fewer than five cars - a quarter of the field - didn't come under starting orders. Viewing figures continued to dwindle as apparently did the numbers in attendance at many events. Add to the tepid entertainment that these days we expect people to stump up to watch on TV in many territories, stump up a lot to attend in person, and the stickiness of the situation becomes obvious. And once again there was a familiar problem around; an old wound that had never really healed. Only was cauterised. 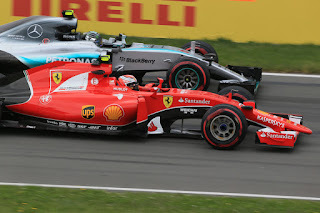 Many tittered at Nico Rosberg when he complained during and after the Chinese race early in the year of his team mate Lewis Hamilton ahead going too slowly, which in turn was backing him into the pursing Sebastian Vettel, especially as to the untrained eye of the average observer he hardly was on Lewis's gearbox. But in fact his words revealed a lot about the difficulties of following in another car's turbulence with its diminishing impact on the racing car's ability to race, and indeed Lewis himself experienced the boot on the other foot situation more than once before the year was out. According to the Clip the Apex annual overtaking stats the average number of overtakes fell from 44 per dry Grand Prix on average last year to 30 this. This also continues a year-on-year decline since 2011 and is now skirting 2010 levels which the drastic-measures-for-drastic-times degrading Pirellis and DRS were introduced on the back of. Now it seems those sticking plaster solutions have lost their stick. It was something the drivers noted too as evidenced by their words after the soporific Brazil race. "At the end of the day it doesn't really matter what we [as drivers] say because it can't happen" said Hamilton, emphasising where the power lies. "The big bosses make the decisions and whether or not they make the right ones for many years, who knows. Something's got to change y'know?...I guess for fans it's probably not too exciting to watch. Of course, it's always nice when you're at the front, as we have been for some time now - but still, being able to race is what...and also down the back, the rest of the field is probably what fans want to see. That's probably a change that would be looked positively on." Vettel next to him concurred: "I think in general what we need to follow another car closer in medium speed, high speed, slow speed corners is more mechanical grip. So shift the percentage between aero - towards more mechanical. How to do that? I think we need better tyres that allow us to go quicker. Drivers want to be quicker. So, I think the solution is very simple. Unfortunately the sport is very political with different interests from different people. "But since the responsible people, the teams, whoever, can't agree on something, it will be difficult to make progress. Unfortunately the people who literally are paying for that are sitting on the grandstands." Indeed. And as well as the problem both drivers reminded us of the major barrier. F1's legendary dysfunctionality, particularly when it comes to the power players from the competing teams mainly agreeing on what appear rather glaring solutions. That sheer self-interest gets in the way. Similarly in the Russian race when a replay of Valtteri Bottas's pit stop was shown on the TV feed, including a team member cleaning the Williams' rear wing slot gaps of pieces of rubber that might have got in there, Martin Brundle in his commentary explained that "any pieces of rubber really dramatically affects the aerodynamic performance, so surprise surprise, they can't follow each other! "I wonder what we could do about that" he added with layers of irony. "The obvious answer is to unload the upper surfaces, the front and rear wings" Brundle went on. "Give them some front wing endfences for starters so we can keep the front wing working all through the range of behind another car, and put some downforce underneath the car and make the downforce relative to the road. 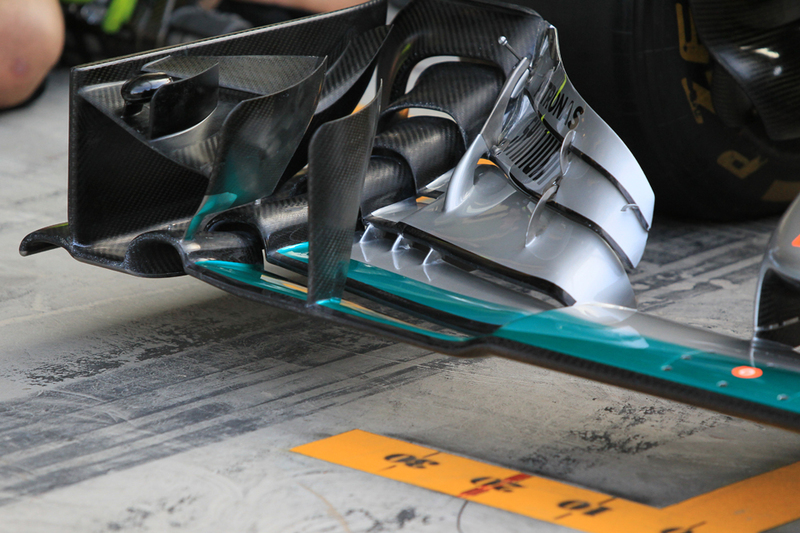 "Look at the front wing on that" Brundle said temporarily distracted by Hamilton's W06 on screen, "it looks beautiful but it also looks like a Christmas tree. It's bound to be affected by turbulent air. Let's load the underneath of the car and make the downforce more consistent. Look at a World Series car or a GP2 car, it's [the answer is] staring us right in the face, but I can't get anyone to agree with me on that." The sport's Strategy Group promised mid-year to this end that "more aggressive looking cars for 2017, to include wider cars and wheels, new wings and floor shape and significantly increased aerodynamic downforce has been outlined and is currently being assessed by the teams". A lot of it sounds encouraging but the final point on increased aero lingered like a bad tooth. And word coming from the resultant work is that at a time most are calling for a reduction in fact more downforce is to be dumped on 2017 cars. "My belief is that the more downforce you have on a car, the harder it is to follow. And this  car has more downforce," said Williams' Pat Symonds stating the obvious, or the apparently not so obvious to those that matter. "For me it's the worst idea" added Hamilton on the same subject; "it just shows for me that they don't really know what they're trying to solve. From the drivers' point of view we want more grip from our tyres, we want less wake coming from the car in front so therefore we can get closer...we need more mechanical grip". Some cynics noted that F1 teams - which make up the Strategy Group of course - have massive investments in aero departments, which may be influencing the direction they apparently are pushing the new spec in. Once again the conflicts of interest of letting the competitors influence the formula. So not for the first time it's hard to know where hope is coming from. Perhaps as was the case at the end of the 1982 we can hold out some that after years of proceeding through apparent impenetrable murk abruptly and unexpectedly light will envelop us, apparently for no other reason than all concerned suddenly got sensible and made the still relatively small changes that would in large part make the sport right again. Almost like they'd stared at their precious vase teetering on the edge of the table and finally considered what they stood to lose if it was allowed to fall and smash. The darkest hour is just before the dawn, as they say. And if there was any good to come from the late part of the season just finished it was that the sense that things cannot carry on as they are seemed close to unanimous and insurmountable. But then again expecting things in this game just to right themselves hasn't done us much good lately. Possibly it says something that we have got this far down a review of the year before actually discussing what went on in terms of the pursuit of the great prize on track. 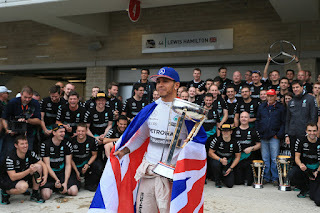 Lewis Hamilton's latest world championship won in 2015, his third in total, was to use the modern parlance a 'no brainer'. 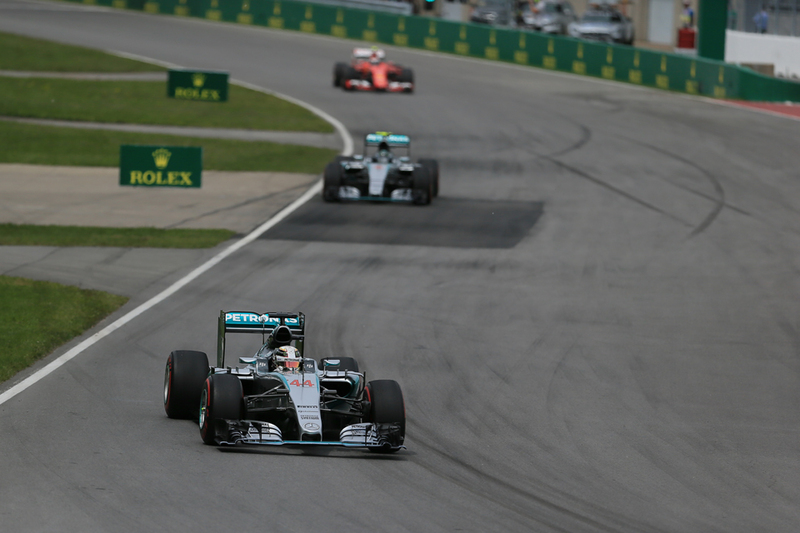 Mercedes was miles ahead just as it was in 2014. Even at the best of times making that up in one close season was never going to be likely. It's even less so in an age when engine development is restricted by regulation. Only Ferrari's 2015 effort to knock the Merc off its perch can be classified under 'nice try', indeed following its early-season Malaysia triumph it looked briefly that it might have enough to do just that. But Malaysia it transpired was a one-off. Then an FIA technical directive on fuel flow issued in the Barcelona weekend gave the Mercs additional breathing space. Ferrari's step-up remained one of the stories of the campaign though. For a few reasons one could say the team was bound to improve - it was after all the first car properly from the tutelage of the highly-rated James Allison while its ventured-down-a-blind-alley 2014 power unit gave it conspicuous room to make gains, but still credit is due. While Sebastian Vettel after his own difficult 2014 bounced back in a similar fashion to his new team, and in so doing surely converted whoever was still doubting that he is all that after all. But it meant that just like 2014's the 2015 chase of the drivers' championship was a strictly intra-Merc affair. 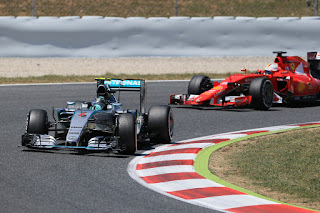 Last year, perhaps against expectation, there was a tight battle between Lewis and his team mate Rosberg. Indeed for much of the year Nico led. This was down to a few things, not least that intangible thing called luck. In the first two-thirds or so of that campaign Lewis had the lion's share of mechanical failures in qualifying or the race compromising his result. Lewis for his part perhaps trying too hard to claw things back added a few mistakes of his own, particularly in qualifying in the mid-part of the year. And to bring us back to our simple explanation - 2015 was 2014 without those. Once again small, but large, changes in the last 12 months made themselves felt. 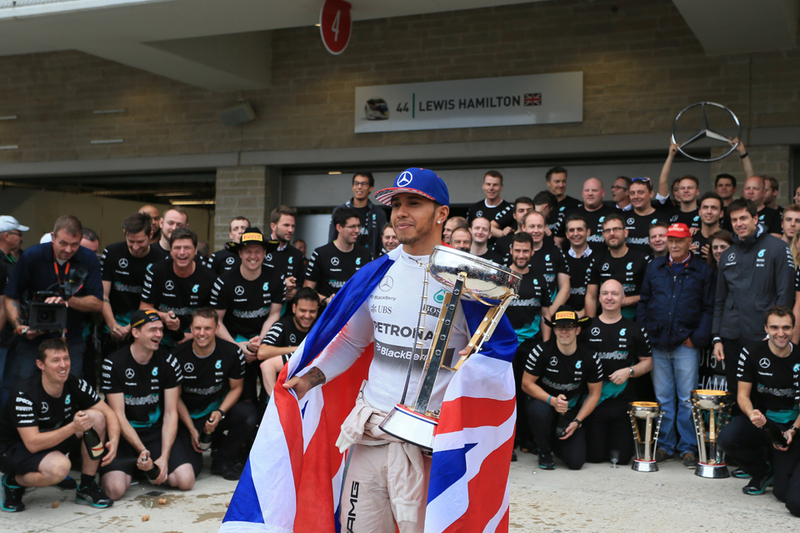 Ten wins, many of them imperious, meant Lewis had the thing done with three rounds remaining. And a self-confessed "small tweak" in his qualifying approach resulted him taking 11 poles in the first 12 rounds. Nevertheless some are hopeful that a similar Ferrari/Seb improvement as was the case between 2014 and 2015 will make things interesting, though for the reasons given this next stride will be the more difficult one. 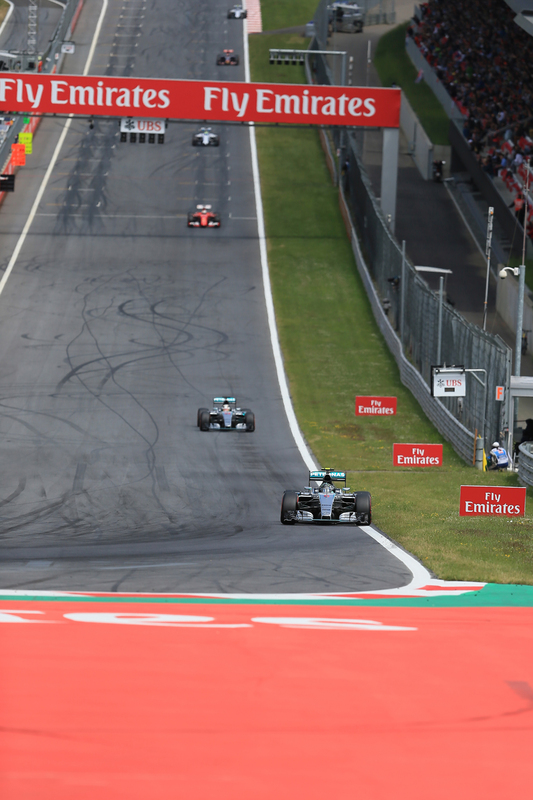 Rosberg based on his late 2015 form may give Hamilton more to think about. Changes beyond these at the front look unlikely though. Still F1 once again this year demonstrated that in the unearthing of bright young talent it's at least getting something right, and in the case of Max Verstappen we had about the most scintillating debut campaign in many a year. And he's only 18. Then think of the electric atmosphere from the packed grandstands as the sport finally returned to Mexico. Think indeed as Brundle pointed out of the first cars rolling out of the pits in Abu Dhabi's season-closing qualifying session, into the stunning and shimmering Yas Marina venue just as light was dimming Le Mans-style. There's a lot good about F1. And good things that no other sport can get near to. It's just that with everything else going on right now you'd be forgiven for missing that fact.